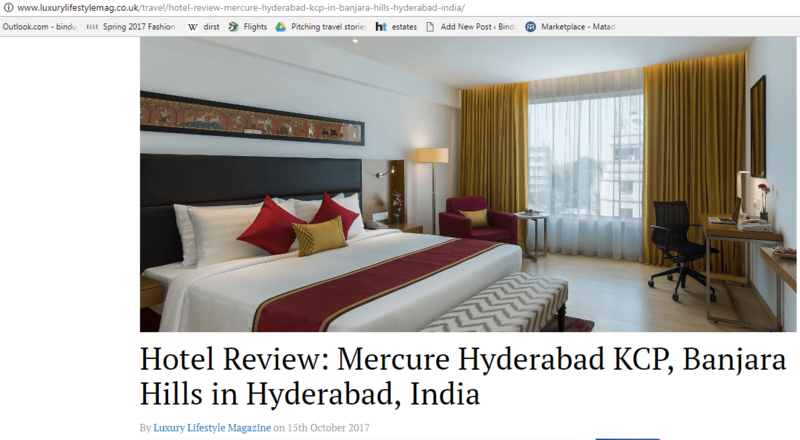 Mercure Hyderabad KCP is located in the heart of Hyderabad at the junction of two central localities of Banjara Hills and Somajiguda. The contemporary business hotel from the Accor group is the newest addition to the city and true to its core philosophy seamlessly blends the global with the local. Check into the hotel and you will come away impressed with the contemporary hospitality space. As the first rays of dawn appeared, I was amazed to see how the sky morphed into shades of orange. As the sun decided to make a grand appearance, the orange glow right above the massive Buddha statue and the reflection on the water creates a compelling sight. And I was lucky to see this right from the comfort of my room at Mercure Hyderabad KCP and thanked Dinesh Rai, General Manager who has specifically pointed this to me. Well if you are lucky to stay in a room that has a view of the iconic Hussain Sagar Lake, you can also see this stunning sight. 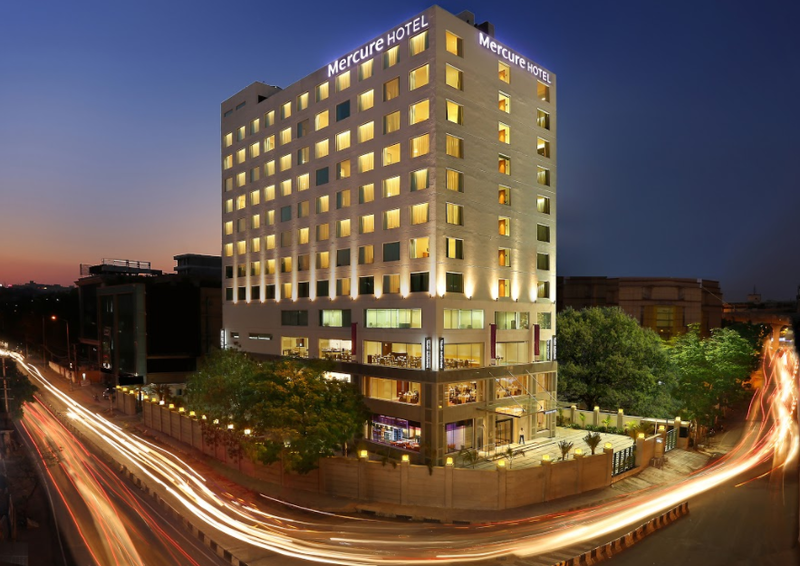 Mercure Hyderabad KCP is a new age hotel that has 128 well-appointed rooms, three food and beverage (F&B) outlets (excluding one more rooftop speciality restaurant to be open soon) and five contemporary meeting and banquet spaces. Naturally this hotel has a good mix of both business and pleasure activities and the decor is infused with authentic local flavours as an ode to the Nizams. The 128 spacious guest rooms and suites are fitted with modern amenities and comes in four categories. So you have 98 Superior Rooms, 11 Deluxe Rooms, 12 Superior lake facing rooms and 7 Suites spread over 8 floors. So I ask Dinesh Rai, General Manager what makes this hotel unique and he says, “this is a fresh hotel and the rooms are larger than usual. Also the best part is that it is well ventilated. Our room corridors are large and let in lot of natural light. Likewise the rooms also have a lot of natural lighting as two sides have glass that lets in sunlight.” And sure enough the rooms are well equipped and the Deluxe rooms also come with a special coffee maker apart from a tea maker. The decor of the room is a refreshing yellow and red tone and there are two traditional masks from Cherial, a village in Telangana. There is also a stunning head board photo frame above the bed which is a Cherial Painting. True to the Mercure brand proposition, this hotel too has infused several local flavours in its plush environs. The hotel blends a true representation in bringing local culture to life. The Mercure Brand Wall which is the first thing that catches your attention on entering this hotel. It has a beautiful Pochampally silk background which is a visual treat that reiterates the brand’s belief in promoting the local culture and history. For the uninitiated, Pochampally is a beautiful Ikkat geometric fabric that is woven in a village close to Hyderabad called Pochampally. In fact the walls are done up with beautiful paintings and every piece of art has its own story enhancing the architecture and décor at the property. The lobby has the reception counter that has been made with Onyx Marble that has been imported from Italy and the patterns are meant to resemble the beautiful pearls that the city is known for. Even the panel behind the reception has small minaret designs inspired from the Nizam’s palaces. Ace film art director and production designer Thota Tharani has worked on several aspects of the interiors. What also caught my attention was the beautiful Aranmula Kannadi or the Aranmula mirror panel that is a handmade metal-alloy mirror only made at Aranmula village in Kerala. The stunning design is a visual delight and I was told that it can be cleaned only using a special liquid and not water. There are also a few MF Hussain original paintings imported from Delhi in the banquet area and the banquet hall walls interior upholstery panelling and sofas are from Bolaki Interiors. The hotel is F&B heavy and has three outlets. Cayenne (named after a spice as well as the popular car from Porsche) is an all-day diner and true to its name offers an eclectic selection of local and international cuisines. There is a buffet served for breakfast, lunch an ddinner as well as an a-la-carte menu that offers you almost anything you need. Live counters and local delights make the buffet special. And the best part is that the Chef is always ready to make you something you like. Executive Chef Vinay Kumar T says, “we focus on local cuisine and also source ingredients locally. All the spices, pickles and powders are from Guntur. I also like to add a local twist to international food. So we have kofta topped pizzas and chicken tikka Risotto. Of course when we need to import special ingredients we have suppliers in India who help. For instance the Taleggio is a special cheese I use in my pastas and is imported from UAE.” If you want to enjoy your evening head to the IQ bar which is ideal for an evening wind down. The Impression Quotient (IQ) is a trendy lobby lounge and bar that serves a heady mix of single malts, cocktails, mocktails, spirits and wines. You can also indulge in a wide selection of pastries and teas at Macroon the Deli Pastry. 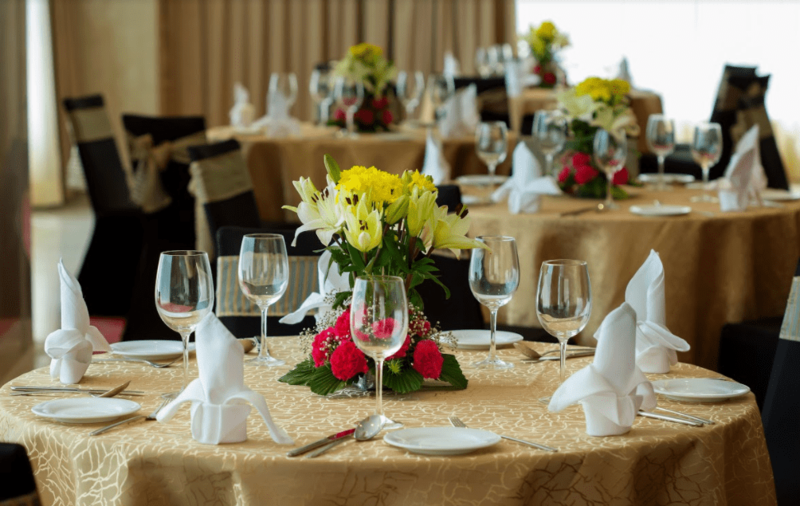 For executive meetings, private parties and events, the hotel has five contemporary meeting rooms and banquet halls that can accommodate up to 150 guests. All meeting rooms are equipped with state-of-the-art conferencing technologies and have three side natural light and ventilation along with panoramic views of the city. Fitness enthusiasts will love to work out at the roof top fitness centre which offers a ringside view of the city. The property is a short drive from the Hyderabad airport and this is a great place to explore tourist attractions. Take a visit to the Hussain Sagar and enjoy an evening cruise – it is a great experience to see the IT City in a different light. I would also recommend that you visit the iconic Charminar and shop at the bangle street Lad Bazaar that deals in the traditional lac bangles. A must see is the Chowmalla Palace that has several rooms dedicated to various antiques, swords, crockery and furniture dating back to the Nizam’s age. Explore the beautiful Golconda Fort and its surroundings including the Qutub Shahi Tombs and you can revisit history. If you want to indulge in some retail therapy, shopping malls such as GVK, City Center, Hyderabad Central and Banjara Hills are a short walking distance from the hotel. 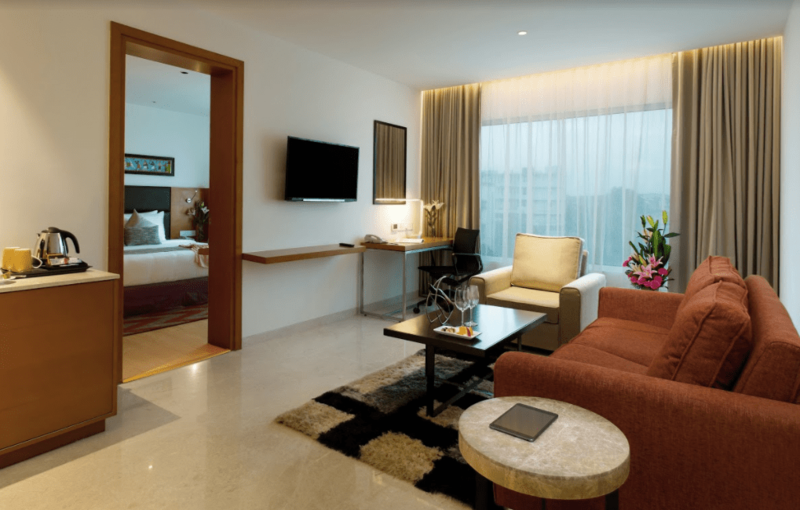 In fact there is much to do and see here and Mercure Hyderabad KCP is just the right place to start exploring. This story appeared in Luxury Lifestyle UK Magazine here. Indeed, I liked it too.. these are shot professionally and given by the hotel Shrinidhi.